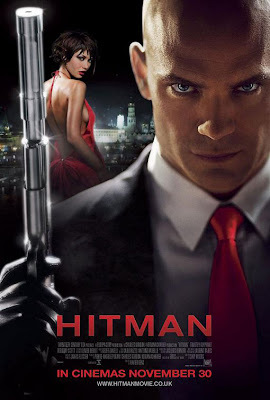 Hitman” is rated R (Under 17 requires accompanying parent or adult guardian). Gore galore. Directed by Xavier Gens; written by Skip Woods, based on the video game character created by Rasmus Guldberg-Kjaer; director of photography, Laurent Bares; edited by Carlo Rizzo and Antoine Vareille; music by Geoff Zanelli; production designer, Jacques Bufnoir; produced by Pierre-Ange Le Pogam, Charles Gordon and Adrian Askarieh; released by 20th Century Fox. Running time: 1 hour 40 minutes.